The Battle of Sacile (also known as the Battle of Fontana Fredda) on 16 April 1809 and its companion Clash at Pordenone on 15 April saw an Austrian army commanded by Archduke John of Austria defeat a Franco-Italian army led by Eugène de Beauharnais and force it to retreat. Sacile proved to be the most notable victory of John's career. The action took place east of the Livenza River near Sacile in modern-day Italy during the War of the Fifth Coalition, part of the Napoleonic Wars. In April 1809, Archduke John quickly invaded Venetia in northeastern Italy. On 15 April at Pordenone, the Austrian advance guard routed the French rear guard, inflicting heavy losses. 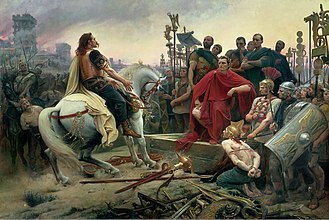 Undeterred by this setback and believing he enjoyed a numerical superiority over his opponents, Eugène attacked the Austrians east of Sacile the following day. Though the two sides were equal in numbers of foot soldiers, the Austrians possessed a two-to-one advantage in cavalry, and this turned out to be a key factor in their victory. Eugène withdrew his army 130 kilometres (81 mi) to a defensible position at Verona on the Adige river, where he reorganized his army and received reinforcements. At Verona, the Franco-Italian army was secure from Archduke John's army advancing from the east and a second Austrian column threatening it from the Tyrol in the north. 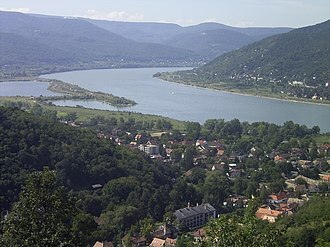 By the end of April, news of French victories in the Danube valley caused John to fall back to the east, with Eugène in pursuit. 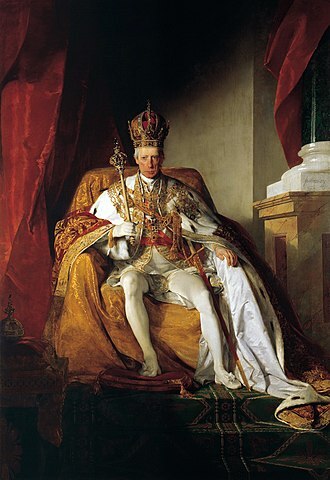 In the early part of 1809, the Austrian Empire of Emperor Francis II determined to go to war against Emperor Napoleon I's First French Empire. Austria massed her main army in the Danube valley under Generalissimo Archduke Charles. Though Italy was considered a minor theater, Charles and the Hofkriegsrat (Austrian high command) assigned two corps to the Army of Inner Austria and placed General der Kavallerie Archduke John in command. Regarded as "incompetent" by historian David G. Chandler, Archduke John had seen his first army utterly smashed by French General of Division Jean Moreau at the Battle of Hohenlinden on 3 December 1800. In Moreau's subsequent pursuit, John's army became so demoralized that it was scarcely able to defend itself and suffered huge losses in prisoners and weapons. During the War of the Third Coalition, he had done better. After Napoleon wiped out Feldmarschall-Leutnant Karl Mack von Leiberich's Austrian army in the 1805 Ulm Campaign, John's army beat a hasty retreat eastward from its position in the mountainous Vorarlberg. He successfully linked up with the Army of Italy, led by his brother, Archduke Charles. Unfortunately for Austria, Napoleon's crushing victory at the Battle of Austerlitz ended the war before Charles and John could intervene in the Danube valley. At the beginning of the 1809 war, John controlled Feldmarschall-Leutnant Johann Gabriel Chasteler de Courcelles's VIII Armeekorps of 24,500 infantry and 2,600 cavalry, and Feldmarschall-Leutnant Ignaz Gyulai's IX Armeekorps of 22,200 infantry and 2,000 cavalry. The VIII Armeekorps assembled at Villach in Carinthia, while the IX Armeekorps massed to the south at Ljubljana (Laibach) in Carniola (now Slovenia). General-major Andreas Stoichevich with 10,000 troops faced General of Division Auguste Marmont's XI Corps in Dalmatia, a French possession since 1806. A body of 26,000 Landwehr stood ready to man garrisons and defend the Austrian heartland. John planned to have the VIII Armeekorps move southwest from Villach and the IX Armeekorps advance northwest from Ljubljana. The two forces would unite near Cividale del Friuli. Another source gave a somewhat different Austrian organization at the outbreak of war. Chasteler's VIII Armeekorps possessed 20,100 men and 62 guns in two divisions. Feldmarschall-Leutnant Albert Gyulay led the 1st Division while Feldmarschall-Leutnant Johann Maria Philipp Frimont commanded the 2nd Division. Ignaz Gyulai 's IX Armeekorps counted 22,290 soldiers and 86 guns in three divisions. The 1st Division was led by Feldmarschall-Leutnant Franz Gorup von Besanez, the 2nd Division was under Feldmarschall-Leutnant Christian Wolfskeel von Reichenberg, and the 3rd Division was directed by Feldmarschall-Leutnant Vinko Knežević. Feldmarschall-Leutnant Guido Lippa was responsible for 30,000 Landwehr and reserves. Before the Austrians launched the war, the Tyrol flared in a spontaneous revolt. The German-speaking Tyrolese under leaders like Andreas Hofer began driving out the Bavarian garrisons. 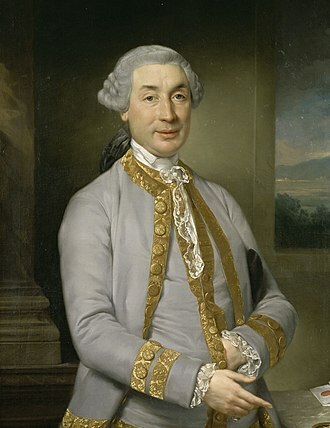 Desiring to aid the rebellion, Charles ordered John to send Chasteler and 10,000 Austrian troops to help the Tyrolese. Ignaz Gyulai's brother Albert replaced Chasteler as the commander of a reduced VIII Armeekorps. The organization of Chastler's force is shown in the Tyrol 1809 order of battle. Aware that Austria probably intended to make war, Napoleon reinforced the Army of Italy under Eugène de Beauharnais, building the French component up to a strength of six infantry and three cavalry divisions. Many of these "French" troops were Italians, since portions of northwest Italy had been annexed to France. In addition, Viceroy Eugène formed three Italian infantry divisions. The Franco-Italian army counted 70,000 troops, though they were somewhat scattered across northern Italy. Before 1809, Eugène never led so much as a regiment into battle, yet Napoleon entrusted him with command of the Army of Italy. To prepare his stepson Eugène for the role, the emperor advised him how to defend Italy in many detailed letters. He wrote that if the Austrians invaded in superior numbers, the viceroy was to give up the Isonzo River line and fall back to the Piave River. 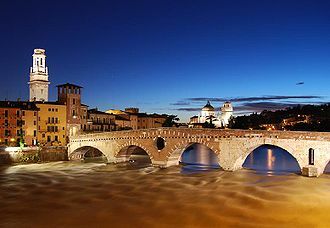 The emperor noted that the Adige river was a particularly important strategic position. Napoleon did not believe Austria would attack in April, and in any case, did not wish to provoke his enemy by concentrating his armies. Therefore, Eugène's army remained somewhat dispersed. At the beginning of hostilities, the Franco-Italian troops were stationed in the following positions. The 1st Division of General of Division Jean Mathieu Seras and the 2nd Division under General of Division Jean-Baptiste Broussier deployed behind the Isonzo River. General of Division Paul Grenier's 3rd Division and General of Division Jean Maximilien Lamarque's 5th Division assembled behind the Tagliamento river. The 4th Division of General of Division Gabriel Barbou des Courières and the 6th Division under General of Division Pierre François Joseph Durutte concentrated in north-central Italy. The three cavalry divisions and the Italian Guard organized behind the Adige river. Archduke John's army invaded Italy on 10 April 1809, with the VIII Armeekorps advancing through Tarvisio and IX Armeekorps crossing the middle Isonzo. After unusually rapid marching for an Austrian army, Albert Gyulay's column captured Udine on 12 April, with Ignaz Gyulai's forces not far behind. Planning on concentrating his army behind the Tagliamento river, Eugène directed Seras and Broussier to slow down the Austrians. But the two divisions were unable to halt John's advance. Even so, Eugène believed his army was strong enough to beat the archduke in battle, so he ordered his divisions to assemble at Sacile on the Livenza River. Because of the Tyrolese revolt, the viceroy sent General of Division Achille Fontanelli's Italian division to Trento on the upper Adige with General of Division Louis Baraguey d'Hilliers in overall command. By 14 April, Eugène massed six divisions near Sacile with Lamarque's infantry and General of Division Charles Randon de Pully's dragoons still distant. At this time, the Italian Guard, Durutte's infantry, and General of Division Emmanuel Grouchy's dragoons were still assembling on the Adige. Before the war, Eugène proposed to Napoleon that his infantry be formed into three corps, but the emperor had not replied to this request. Because of this, Eugène army fought the coming battle as a collection of divisions, which had a detrimental effect on command control. Meanwhile, John used small forces to mask the fortresses of Osoppo on the upper Tagliamento and Palmanova south of Udine. The Austrians reached Valvasone on the evening of 14 April, but John ordered a night march. Frimont's advance guard was in the lead, with VIII Armeekorps right behind. Slowed by the rainy weather, the IX Armeekorps lagged behind. The units and organizations of both armies are shown in the Sacile 1809 order of battle. Seras and Severoli crossed the Livenza River near Brugnera. On 15 April, Eugène ordered his army forward across the Livenza. The French divisions of Grenier and Barbou moved through Sacile, while Seras' French and General of Division Filippo Severoli's Italian division crossed at Brugnera and moved toward the village of Tamai. Broussier's division crossed the Livenza to the north of Sacile. Meanwhile, General of Division Louis Michel Antoine Sahuc's rear guard consisting of light cavalry and the 35th Line Infantry Regiment deployed 12 km to the east of Sacile near Pordenone. Sahuc's patrols brought word that Archduke John's troops were across the Tagliamento, but because Seras and Broussier had not kept a close watch on the advancing Austrians during their withdrawal, Eugène was unsure of his enemy's strength. Thanks to his scouts, Archduke John had a clear picture of his opponent's army. 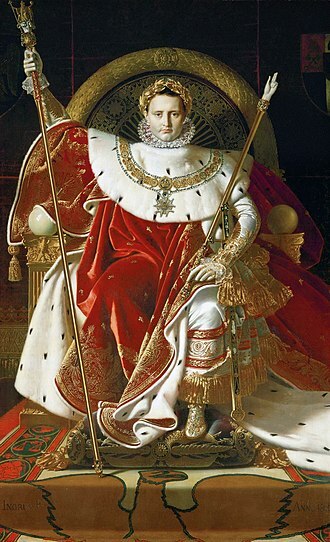 He ordered Frimont's advance guard to attack the French soldiers at Pordenone in the morning. At 6:00 am, the Austrians clashed with Sahuc's cavalry patrols. General-major Joseph von Wetzel's Grenz brigade attacked across the Noncello (Foncello) stream on the east side of the town, attracting the attention of the defending infantry. When General-major Josef von Schmidt's line brigade came down from the northeast, the French were compelled to stretch the 35th Line to cover the north side of town. 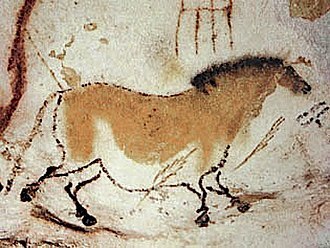 Sahuc formed his horsemen north of the town, hoping to catch the Austrian attackers in the flank. But it was the French cavalry who were flanked when Frimont fell on them with four regiments of cavalry, routing them. Without cavalry support, the infantry in the town were forced to pull out. At Pordenone, the Austrians lost 221 killed and wounded plus 32 captured out of a total of 5,900 men and 15 guns. French losses were much heavier, 500 killed and wounded, plus 2,000 men and 4 guns captured out of 4,800 troops and 6 guns engaged. Many infantrymen of the 35th Line surrendered and the regiment lost an eagle and two colors. Historian Digby Smith wrote that the 35th was "practically destroyed". In addition to the three battalions of the 35th Line, the 6th Hussar and the 6th Chasseurs à Cheval Regiments were engaged on the French side. The Austrians committed one battalion of the Archduke Franz Karl IR Nr. 52, one battalion of the Franz Jellacic IR Nr. 62, and two battalions of the 1st Banal Grenz IR Nr. 10 to action. Six squadrons of the Ott Hussar Regiment Nr. 5, four squadrons of the Frimont Hussar Regiment Nr. 9, and two squadrons of the Hohenzollern Chevau-léger Regiment Nr. 2 were also involved. Aware of the French buildup at Tamai to the southeast of his positions, Archduke John posted Albert Gyulai's VIII Armeekorps and Frimont's Advance Guard to defend Pordenone and Porcia. Ignaz Gyulai's IX Armeekorps, which had arrived late in the day of the 15th, bivouacked just west of Pordenone. While his left flank held off the expected Franco-Italian attacks on Porcia, John planned to send Ignaz Gyulai first to Roveredo in Piano then southwest in a lunge at Fontanafredda and Ranzano. Battle of Sacile, showing morning positions. Eugène was unaware of the presence of the IX Armeekorps. Still unaware of the presence of the IX Armeekorps, Eugène believed he faced only 20,000 Austrians. 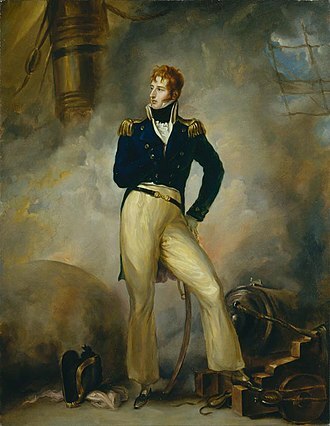 He boasted, "In one day I will retake all of the territory I have abandoned at the moment." He knew that the Austrian cavalry enjoyed a numerical superiority over his own horsemen. Since the terrain on the Austrian left flank was unsuitable for mounted action, he determined to move against it. He appointed Seras to command both his own and Severoli's divisions in the attack. Eugène ordered Barbou's division to cooperate in the assault while Grenier pushed forward near Fontanafredda. Broussier held the left flank with Sahuc's troopers between him and Grenier. A four-battalion task force watched for an envelopment on the far left flank. Covered by an artillery barrage, Seras moved out at 9:00 am with his two divisions. They quickly seized Palse and began assaulting Porcia. Frimont unleashed the Ott Hussars, forcing Seras to pause in his advance. This bought time for John to send VIII Armeekorps in a counterattack against the Franco-Italians in which Severoli was wounded and his division nearly broken. At this moment, Barbou joined the battle and his division first checked the Austrians, then drove Frimont's troops out of Porcia. Seeing his attack having trouble overcoming the Austrian left flank, Eugène ordered Grenier to leave Fontanafredda and throw his division into the battle on the right flank. Sahuc and Broussier shifted to the right to fill the gap in the Franco-Italian center. Meanwhile, Ignaz Gyulai began his maneuver, leaving General-major Johann Kleinmayer's grenadier reserve to help defend the left flank. Reaching Roveredo around noon, he veered to the southwest, launching three infantry brigades at Eugène's thinned-out center about 1:30 pm. With General-major Anton Gajoli's brigade holding Grenier's division near Ronche, the IX Armeekorps threatened to overwhelm Broussier. Grenier rapidly disengaged most of his troops and sent them back to defend Fontanafredda, while Broussier counterattacked near Vignovo. In the center, there was bitter fighting near Ronche as the French repelled one attack only to have the Austrian mount a second one. Eugène refused to commit Sahuc's cavalry in the face of the Austrian superiority in cavalry. During this crisis, Seras lost Porcia to an Austrian attack. Seeing that his main attack failed, Eugène ordered a withdrawal at 5:00 pm. On the right flank, Severoli and Barbou's troops covered the withdrawal. Historian Frederick C. Schneid believed that a mass cavalry attack "could have smashed" Grenier and Broussier, but Ignaz Gyulai kept Wolfskeel's cavalry behind his infantry. Instead, Sahuc's threatened attack pinned the IX Armeekorps long enough for Broussier and Grenier to get away. The two divisions retreated in square, each division lending support to the other. They finally reached the Livenza after numerous clashes with their Austrian pursuers. Nightfall allowed the two divisions to safely cross to the west side of the river. Seras, Barbou, and Severoli crossed the Livenza at Brugnera the following morning. The Franco-Italian army suffered 3,000 killed and wounded at Sacile. An additional 3,500 soldiers, 19 guns, 23 ammunition wagons, and two colors fell into the hands of the Austrians. Pagès was wounded and captured while Teste was wounded. According to Smith, the Austrians lost 2,617 killed and wounded, 532 captured, and 697 missing. Schneid listed Austrian losses as 3,600 killed and wounded and 500 captured. 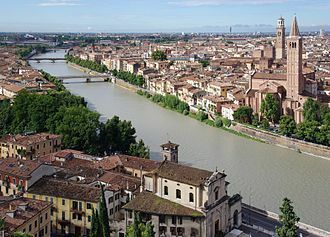 Eugène retreated to the Adige at Verona. Archduke John decided not to follow up his victory, since the VIII Armeekorps was mauled in the fighting near Porcia and the IX Armeekorps cavalry was worn out. Instead, Frimont trailed after the Army of Italy with his advance guard. Schneid wrote, "John's failure to pursue one week after Sacile was one of his greatest blunders". On the evening of the battle, Lamarque and Pully reached Conegliano after being delayed by wet weather and bad roads. Eugène used the two divisions as a rear guard as his defeated troops straggled back to the Piave. 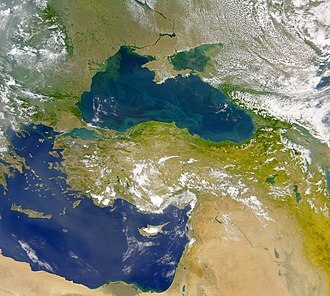 He also sent Barbou and ten battalions to reinforce Venice, forcing John to detach a force to mask the Adriatic Sea port. The Franco-Italian army held the line of the Piave for four days, but fell back toward the Brenta River on 21 April. When the Army of Inner Austria arrived near Verona on 28 April, it found Eugène in a strong defensive position behind the Adige. 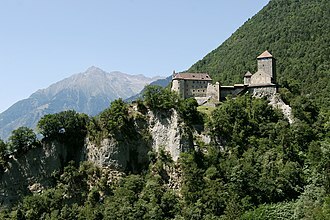 Meanwhile, Chasteler captured Innsbruck on 12 April and Trento on the upper Adige on 23 April. The Tyrol detachment advanced as far as Roveredo on 26 April before being halted by Baraguey d'Hilliers. Napoleon was enraged at his stepson's fumbling and he proposed to replace him with Marshal Joachim Murat who was King of Naples at the time. Nothing came of this threat because by the time his letter arrived, Eugène was advancing again. The viceroy had accumulated reinforcements as he retreated, so that his army numbered 60,000 by the time it reached the Adige. Meanwhile, John's army shrank as it detached a force to observe Venice and a brigade to reinforce Chasteler. 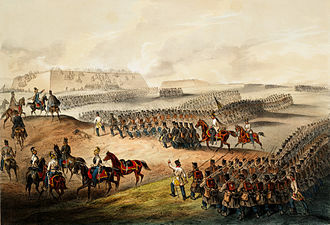 News of Napoleon's victory over Archduke Charles at the Battle of Eckmühl on 22 April caused Archduke John to fall back toward Austria at the beginning of May. The next engagements between John and Eugène were the Battle of Caldiero in the last days of April and the Battle of Piave River on 8 May. ^ Bowden & Tarbox, pp 107–109. These numbers differ somewhat from Schneid's list and include Stoichevich's force as part of Knesevich's division. ^ Schneid, p 66-67. The unit locations are listed exactly as they are mentioned in the text. However, it is more likely that Barbou was behind the Tagliamento and Lamarque in north-central Italy. Otherwise, there is no explanation why Lamarque was unable to reach the field of battle. ^ Bowden & Tarbox, p 107. Based on this source, Wetzel probably led the 1st Banal Grenz. That leaves Schmidt to command the two line infantry battalions. ^ Smith, p 286. Smith said the French 8th Hussars were engaged, but this is obviously an error and he meant the 6th Hussars. Bowden, Scotty & Tarbox, Charlie. Armies on the Danube 1809. Arlington, Texas: Empire Games Press, 1980. Rothenberg, Gunther E. (2007). Napoleon’s Great Adversaries: Archduke Charles and the Austrian Army 1792–1914. Stroud, Gloucestershire: Spellmount. ISBN 978-1-86227-383-2. Smith, Digby (1998). The Greenhill Napoleonic Wars Data Book: Actions and Losses in Personnel, Colours, Standards and Artillery, 1792–1815. Mechanicsburg, Pennsylvania: Stackpole Books. ISBN 1-85367-276-9. As the day wore on, Feldmarschall-Leutnant Johann von Hiller arrived with reinforcements to take command of the three corps that formed the Austrian left wing. The action ended in a complete Franco-German victory, the battlefield was southeast of Abensberg and included clashes at Offenstetten, Biburg-Siegenburg, Rohr in Niederbayern, and Rottenburg an der Laaber. On the same day, the French garrison of Regensburg capitulated, after Marshal Louis-Nicolas Davouts hard-fought victory at Battle of Teugen-Hausen the previous day, Napoleon determined to break through the Austrian defenses behind the Abens River. The emperor assembled a provisional corps consisting of part of Davouts corps plus cavalry, Napoleon directed his German allies from the Kingdom of Bavaria and the Kingdom of Württemberg to attack across the Abens from the west, while Lannes thrust from the north toward Rohr. While the Austrians initially held the line, Lannes strike force crashed through Louis defenses farther east. On the left, the Austrians managed to conduct a capable rear guard action, the day ended with the Austrians barely holding onto a line behind the Große Laber River. The next day, Hiller withdrew to Landshut, separating the left wing from the army under Generalissimo Archduke Charles. The French surrender of Regensburg on 20 April allowed Charles army a retreat route to the bank of the Danube. The Battle of Landshut was fought on 21 April, Archduke Charles stole a march on Napoleon when his army invaded the Kingdom of Bavaria on 10 April 1809. Even though the Austrian army took six days to march from the Inn River at the frontier to the Isar River. Napoleons deputy commander, Marshal Louis Alexandre Berthier mismanaged the Grande Armées concentration, the central mass of Archduke Charles 209, 600-man host crossed the Isar at Landshut on 16 April, but the next day Emperor Napoleon arrived at the front from Paris. On 19 April, Charles realized he had an opportunity to destroy Davout and he launched 65,000 troops in three powerful columns northwest as Davout attempted a flank march across his front. 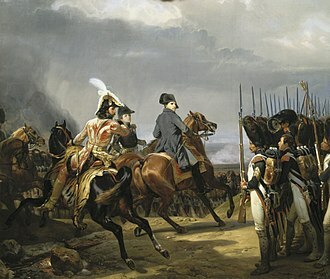 Luckily for the French, General of Cavalry Johann I Joseph, both sides fed in reinforcements as the infantry battled over a pair of parallel ridges in the Battle of Teugen-Hausen. The Battle of Piave River was fought on 8 May 1809 between the Franco-Italian army under the command of Eugène de Beauharnais and an Austrian army led by Archduke John of Austria. The Austrian commander made a stand behind the Piave River but he suffered a defeat at the hands of his numerically superior foes, the combat took place near Nervesa della Battaglia, Italy during the War of the Fifth Coalition, part of the Napoleonic Wars. 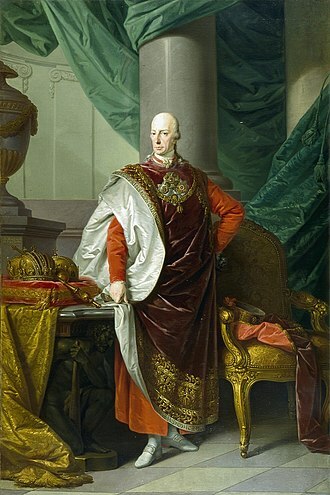 The initial Austrian invasion of Venetia succeeded in driving the Franco-Italian defenders back to Verona, at the beginning of May, news of Austrian defeats in Bavaria and inferiority in numbers caused Archduke John to begin retreating to the northeast. When he heard that his enemies were crossing the Piave, the Austrian commander turned back to give battle, Eugène ordered his vanguard across the river early in the morning. It soon ran into vigorous Austrian resistance, but the arrival of French cavalry stabilized the situation by mid-morning, rapidly rising waters hampered the buildup of French infantry reinforcements and prevented a significant portion of Eugènes army from crossing at all. In the late afternoon, Eugène launched his attack which turned Johns left flank. Damaged but not destroyed, the Austrians continued their withdrawal into Carinthia, at the beginning of the 1809 conflict between the Austrian Empire and the First French Empire, General of Cavalry Archduke John led his Army of Inner Austria in an invasion of northeastern Italy. 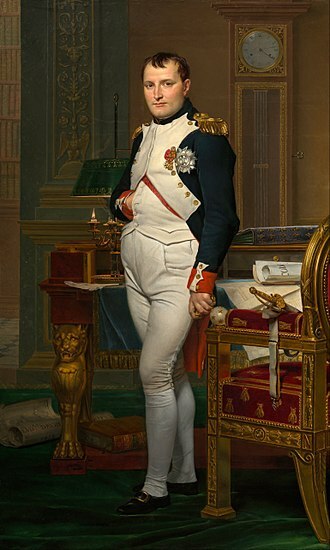 Emperor Napoleon I appointed his stepson Eugène to be Viceroy of Italy, on 16 April, John defeated Eugène at the Battle of Sacile near the Livenza River. During this time an Austrian force led by Feldmarschall-Leutnant Johann Gabriel Chasteler de Courcelles advanced south from the Tyrol, capturing Trento on 23 April, in the face of these two threats, Eugènes Franco-Italian army withdrew 130 kilometres from Sacile to the Adige River. Once the Franco-Italian army arrived near Verona it gathered reinforcements, Baraguey dHilliers halted Chastelers drive in the upper Adige valley. Because Archduke John sent a division to blockade Venice, his army arrived on the Adige with only about 30,000 troops, much fewer than Eugène. 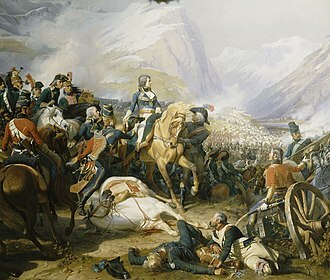 Napoleons victory in the Battle of Eckmühl and the subsequent retreat of Archduke Charles, caused Emperor Francis II to order John to fall back, anticipating an Austrian withdrawal, Eugène created a Light Brigade consisting of three voltiguer battalions, a squadron of light cavalry, and two cannon. The voltiguer units were formed by taking the skirmisher companies from infantry battalions, Eugène placed this pursuit force under General of Brigade Armand Louis Debroc. Archduke John deployed his right flank behind the small Alpone River between Soave and Albaredo dAdige, near the old Arcole battlefield, while his left flank defended the Adige south to Legnago. In a series of clashes between 27 and 30 April, John successfully fended off Eugènes efforts to turn his flank in the Battle of Caldiero. Austrian losses numbered 700 killed and wounded, plus 872 captured or missing, the French suffered about 1,400 casualties. On 1 May, Archduke John ordered his army to withdraw to the east, in several clashes on 2 May, the Austrian rear guard held off the French, inflicting 400 killed and wounded including Debroc wounded. 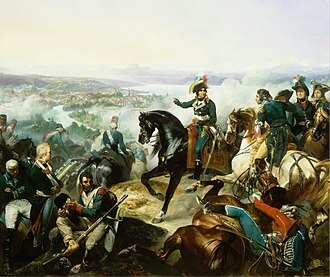 In the Battle of Aspern-Essling, Napoleon attempted a forced crossing of the Danube near Vienna, but the French and their allies were driven back by the Austrians under Archduke Charles. 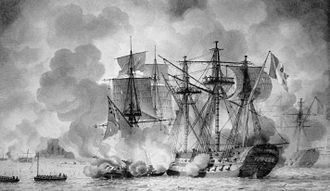 The battle was the first time Napoleon had been defeated in over a decade. 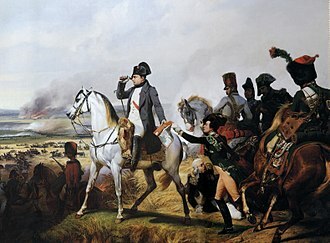 However, Archduke Charles failed to secure a victory as Napoleon was able to successfully withdraw most of his forces. The French wanted to cross the Danube, a first crossing attempt on the Schwarze Lackenau on 13 May was repulsed with some 700 French losses. Lobau, one of the islands that divided the river into minor channels, was selected as the next point of crossing. Careful preparations were made, and on the night of 19–20 May the French bridged all the channels on the bank to Lobau. By the evening of the 20th many men had collected there. Massénas corps at once crossed to the bank and dislodged the Austrian outposts. The Archduke did not resist the passage and it was his intention, as soon as a large enough force had crossed, to attack it before the rest of the French army could come to its assistance. 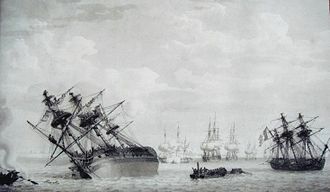 Napoleon had accepted the risk of such an attack, but he sought at the time to minimize it by summoning every available battalion to the scene. His forces on the Marchfeld were drawn up in front of the bridges facing north, with their left in the village of Aspern and their right in Essling. Both places lay close to the Danube and could not therefore be turned, the French had to fill the gap between the villages, and move forward to give room for the supporting units to form up. Prince Johann of Liechtensteins Austrian reserve cavalry was in the center, during the 21st the bridges became more and more unsafe, owing to the violence of the current, but the French crossed without intermission all day and during the night. Kaiserlich-Königliche Hauptarmee, under the command of Charles of Austria, 3rd Column, Vanguard, notitz 3rd Column, Hohenzollern-Hechingen, Advance Guard Div. Brady Div. Dedovich 5th Column, Rosenberg/Hohenlohe, Rohan Div,3, Arrighi II Corps, Lannes †, Div. Saint-Hilaire † Div. Election of Erzherzog Johann von Österreich 1848 as Imperial Regent (Reichsverweser) by the Frankfurt Parliament. Medal by Karl Radnitzky, reverse, showing the German double-headed Imperial Eagle. 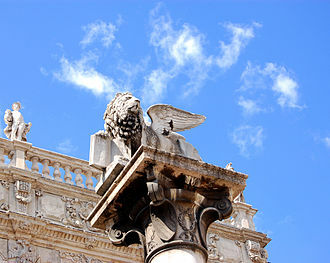 Church of Santa Maria degli Angeli.